The Perth Observatory is Western Australia’s oldest observatory which is located 35km east of Perth in Bickley. The Observatory has served WA for over 120 years and remains actively involved in the service of public education through Day Tours for schools and Night Sky Tours for the public. In recognition of its scientific, cultural and historical significance, the Observatory was entered on the state’s Heritage Register in 2005. 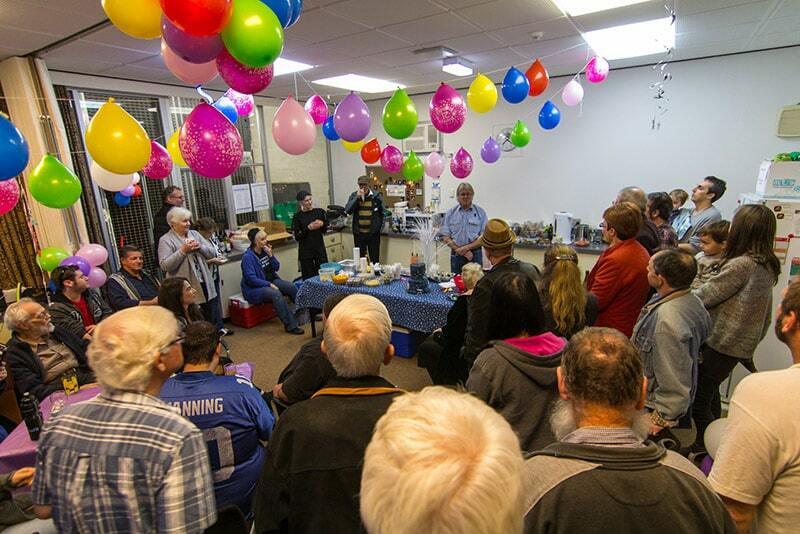 As of the 1st of July 2015, the Perth Observatory Volunteer Group has been running the Observatory for the Western Australian Government, so we can continue to provide the Observatory with a bright future and a place to inspire the public and young minds. 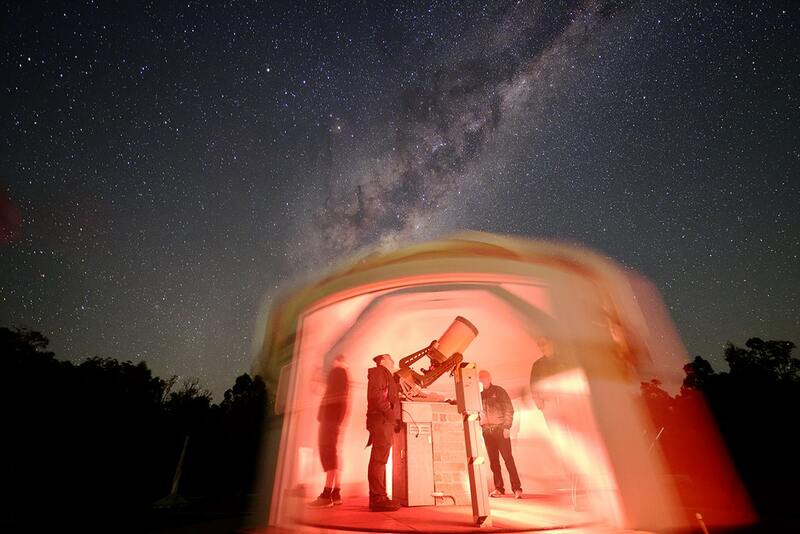 The Perth Observatory Volunteer Group (POVG) were established in 1996 to support the Observatory’s staff in a growing public interest in astronomy, including night sky viewings through the Observatory’s many telescopes. 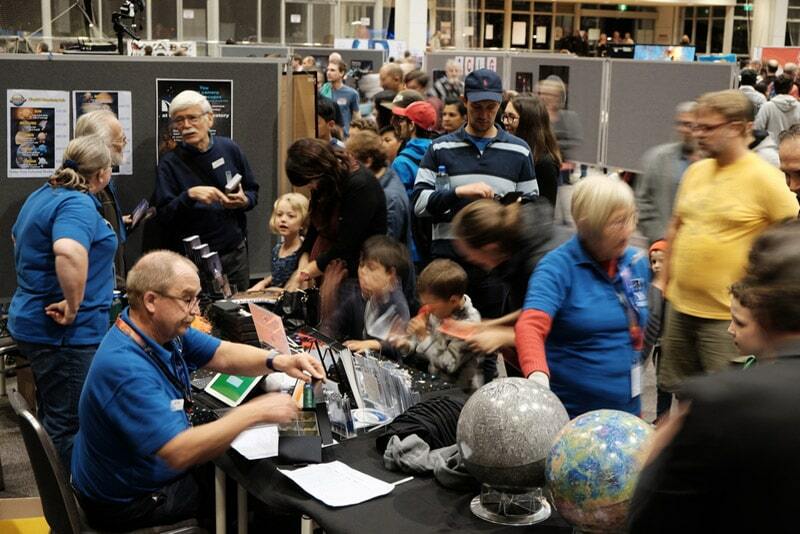 The POVG continued to provide public education and outreach support at the Observatory until November 2014, when operational funding was ceased with the Perth Observatory intended for closure. Faced with the loss of this historical State institution, the POVG formed an incorporated Not-for-Profit body in 2015 and stepped in to take over the management of the site from the State Government through a Community Partnership agreement commencing in July 2015. The Perth Observatory continues to operate today under the management of only 5 part-time staff and almost 120 passionate volunteers who work hard ensure its position as a scientific and heritage education facility. Our volunteers dedicate many thousands of hours to public education/outreach, facilities and maintenance, IT and administration, accounting and volunteer training/management and marketing/advertising. Our volunteers include astronomers, scientists, engineers, teachers, health professionals, accountants, IT specialists, artists, actors, pilots, former public servants, private business owners, students and many more, with a wide demographic of volunteers of all ages – currently 18 to mid-80s! 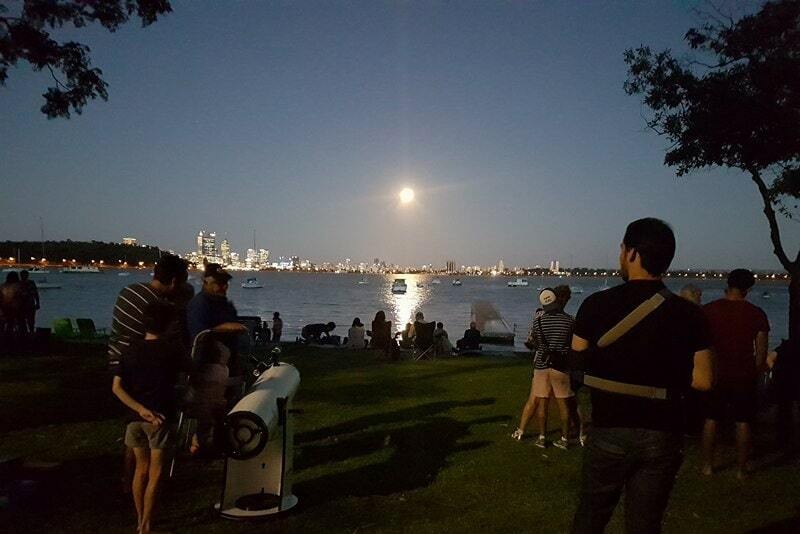 Each year more than 200 events are hosted by our volunteers, including night sky tours, school activities, star adoptions, guided heritage tours and public lectures, which draw over 10,000 visitors who share the delight in the southern sky. Further afield, star viewing events are held at remote sites in WA with the aim of providing a gateway to the universe for all in WA. irrespective of location. Collectively, our volunteers provide over 18,000 hours each year, comprising 6,000 hours of public events and a further 12,000 hours to developing volunteer training, preserving our heritage, administration and maintenance of our site. 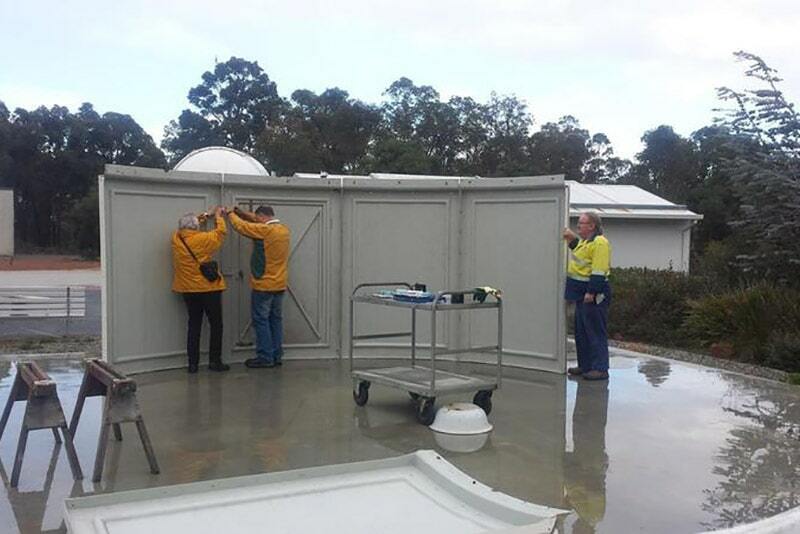 The operations of the Perth Observatory are financed by income derived from our education and outreach programs and largely supported by significant volunteer time with minimal State Government funding. 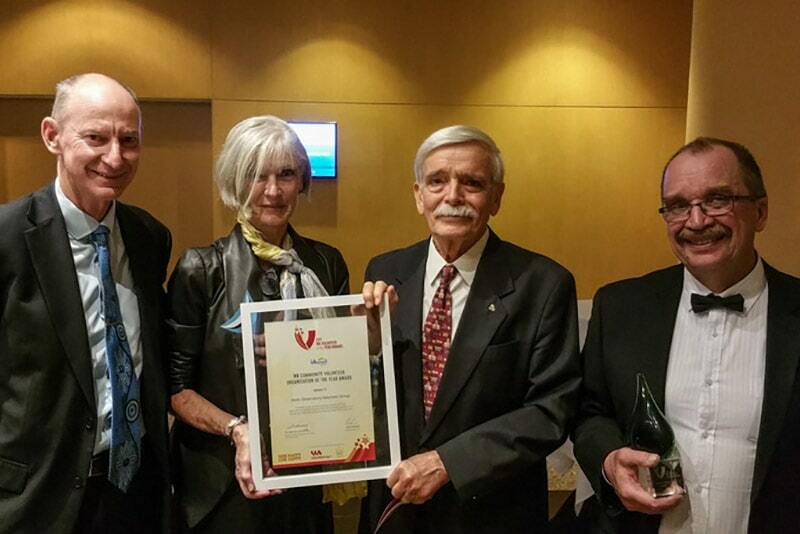 Our rapid development has already drawn praise from the wider volunteering community, and in 2017, we were recognised as the winner of the Volunteering WA Community Volunteer Organisation of the Year award. In just three years, we have transformed the heritage site in Bickley to accommodate its change of focus, including refurbished signage and interiors, construction of an outdoor amphitheatre, creation of bush gardens and development of enjoyable and interactive astronomy experiences for thousands of West Australians. Our future vision is for the Perth Observatory to be Australia’s premier astronomical education visitor experience, building on the Observatory’s scientific status to offer an enjoyable educational experience based on inspirational interpretation of heritage and cultural history and passionate and knowledgeable volunteers. If you’d like to be involved, we would love to hear from you! We hold two volunteer intakes each year for potential telescope operators, but are always on the lookout for people who can assist with our daytime heritage tours of the museum and historical telescopes and/or with primary-aged School Day Tours which include astronomy-related activities. 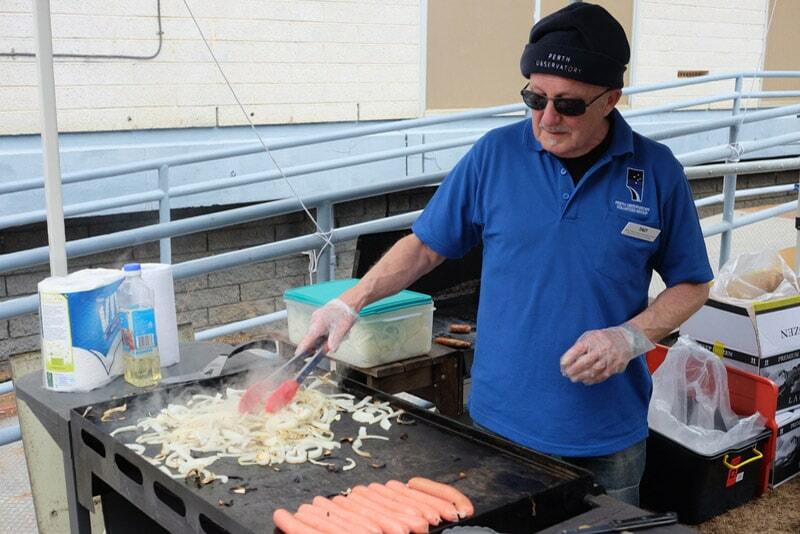 Please click here for more details on becoming a volunteer.